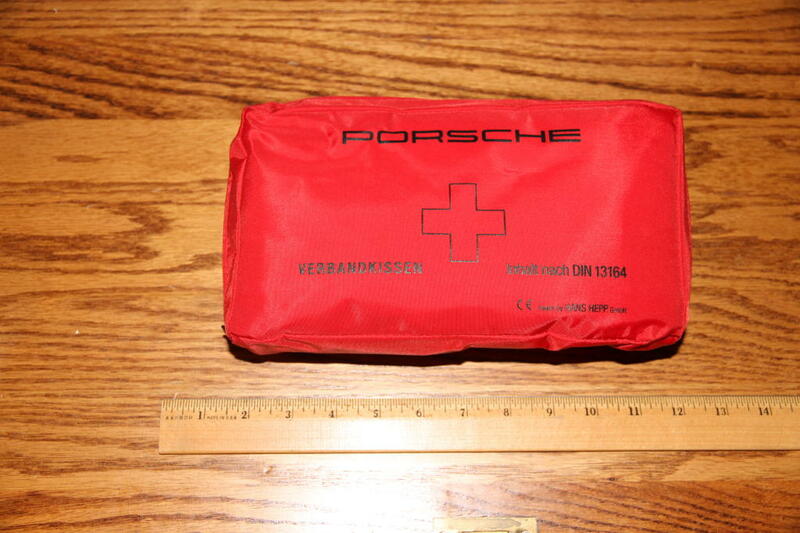 Looking for a photo or a complete description of Porsche option 1T1, First Aid Kit. Where did that option # come from? It's not listed in the US configurator AFAIK. I have a Porsche first aid kit that came with my Tourist Delivery '09 Carrera, as it's a requirement in Europe. I'm posting pics just in case, but I have no idea if it's the same one as the kit you're referring to. Correct! It is NOT on the USA configurator. I saw it on a build sheet (USA car) that someone had sent me. I suspect that your photos do indeed show the kit in question. I was sort of expecting the triangles (used to alert on-coming traffic that you're stopped) to be included as well. Don't know why they never include those in the USA. You could add it to your options list when putting your order in at the dealer, it's under their options, but not on the configurator. If you do Euro delivery, they put it in the car, along with collapsible triangle, because you cannot drive off the lot without it. 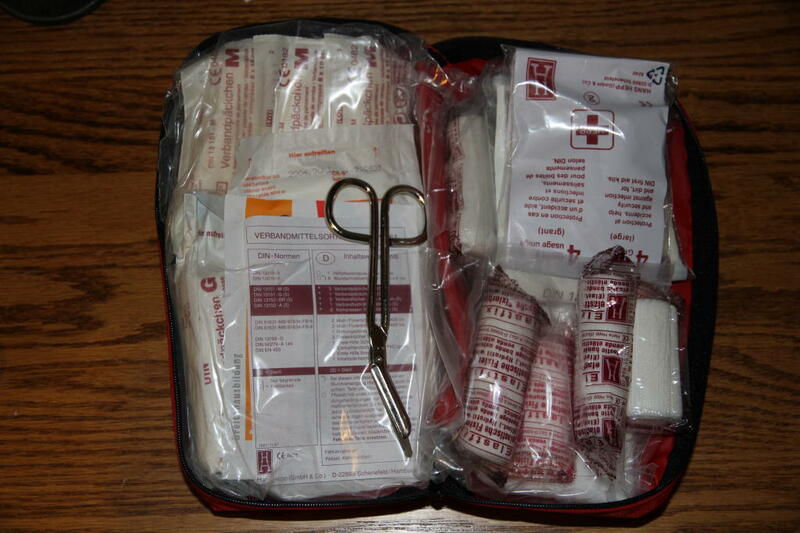 Nothing special in there - basic first aid kit. I had to buy flares, space-blankets and other stuff separately. If you do Euro delivery, they put it in the car, along with collapsible triangle, because you cannot drive off the lot without it. Correctamundo. And take it all with you before you drop of the car with the Forwarder. Both of these things tend to 'disappear' in shipping. On my last European Delivery (post 9/11), I forgot to put in my checked luggage the 'First Aid Kit' from my car. And there is one item in there that didn't pass muster. Thus, I forfeited the medical scissors at the security check point at the Munich airport. Also try to take with you at least one (e.g. front) of your Zoll plates, just in case they also 'get lost' during the car's shipping process from Europe to your dealer. You want those mementos from all of your European Deliveries mounted on your garage wall.